This is how one of my living literary heroes Peter Ackroyd describes London. I’ve just taken an hour-long walk under that city’s ominous gray skies, heavy with the answer to London’s daily mystery: will it rain? And like the cantankerous old man Ackroyd says London is, it would not give an answer. Also known for not giving answers is Peter Ackroyd himself, who has written … Read more. 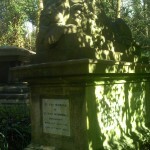 I was moved by the monument of the Victorian boxer Thomas Sayers, who wanted his faithful dog, Tim, commemorated as well. Though boxing was illegal in the 19th century, Sayers was enormously popular, and his funeral was attended by 10,000 people—a larger funeral than the Duke of Wellington’s. 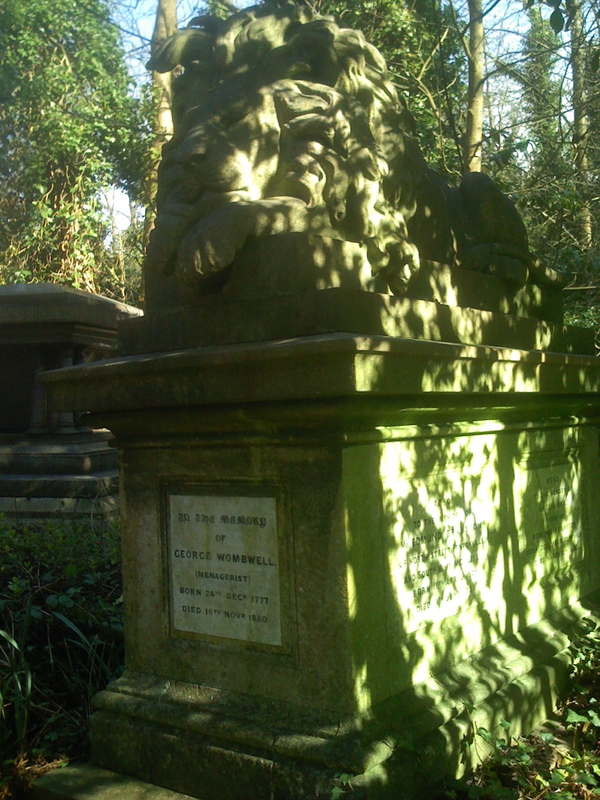 “The Victorians had very small weddings and very big funerals.”Thus said our cheery guide by way of explaining the elaborate monuments of Highgate Cemetery, where I and my friend Caroline Kellett-Fraysse, fellow writer and … Read more. Last summer Katie Hickman and I found ourselves doing a joint reading at the Margaret Mitchell House in Atlanta. We were both on book tour—Katie for The Aviary Gate, and me for Stealing Athena. We didn’t know each other, but I’d been wanting to meet her. Her best-selling book, Daughters of Britannia: the Lives and Times of Diplomatic Wives, contained a substantive chapter on Mary Nisbet, Countess of Elgin, who happened … Read more. One of my challenges in writing the next book is to refrain from falling into stereotypical “Dickensian” images and ideas of the Victorian period. Because mine is a Gothic novel, the darker imagery of the period would suit so well. However, by 1890, the world looked much different than it had forty or fifty years prior. As someone who works hard to create as vivid and realistic an environment as possible in whatever era I’m writing in, I’ll have to be ultra-conscious as I go along. Just returned from a walking … Read more.